Great opportunity to own 6.28 acres close to town on a quiet street. 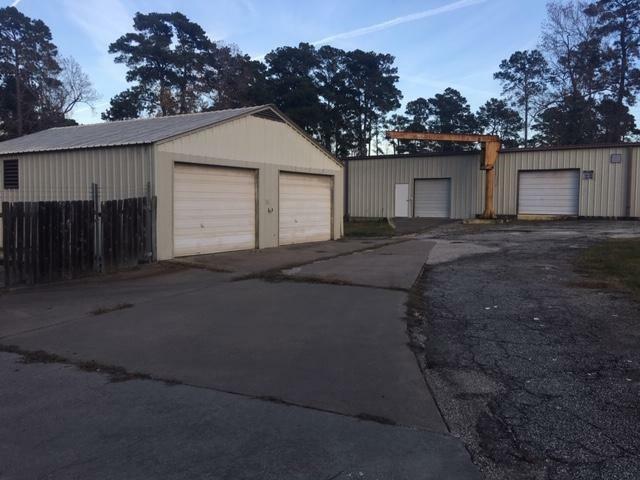 The property includes 2 buildings , 1 that is approximately 80 x 20 and the other 32 x 39 and are both metal construction. The 80x20 building has been finished out with an office space , with duct work and drop ceiling ,on half of it and open shop space on the other. The 2nd building is all open and both are in great condition. On the far right of the property is currently a 11 x 55 trailer with covered porch that was previously office space and 1 bathroom. This property is unrestricted and can continue to be used as a commercial space or residential. Many possibilities with this beautiful land. © 2019 Houston Realtors Information Service, Inc. Information is provided exclusively for consumers' personal, non-commercial use, and may not be used for any purpose other than to identify prospective properties consumers may be interested in purchasing. All information provided is deemed reliable but is not guaranteed and should be independently verified. Listing courtesy of JLA Realty.